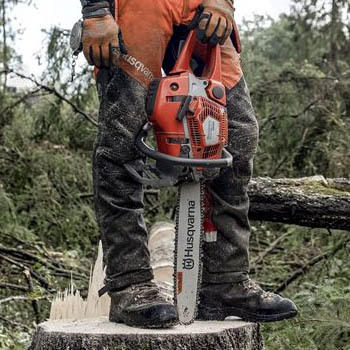 Inspired by the future, driven by the past, Husqvarna enter their 60th year of Chainsaw development with a huge upgrade in the pro saw range. This year, the 550XP & 545 get a refresh as we see a Mk II release of each machine, and from what we're seeing the advancements are beyond expectiation. The new Mk II 550XP delivers higher power and cutting performance when compared to its closest rival, translating into a massive increase in efficiency. You'll be able to cut more, in less time. Thats something we all want to hear right?! Then we come to longevity. If there is one thing we've never stopped hearing when people are considering the 550XP as a groundsaw is the debate on how long it will last. As with any saw on the market some people have good experiences, some have bad, but the fact that the 550XP Mk I has been our best selling pro saw for the last 3 years says a lot. 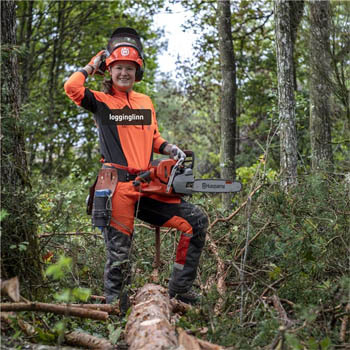 Husqvarna have built on this, with the new generations built to endure to an even better level with professional grade air filter design, a vastly improved Air Injection system and a newer version of AutoTune for a more reliable unit than ever before. 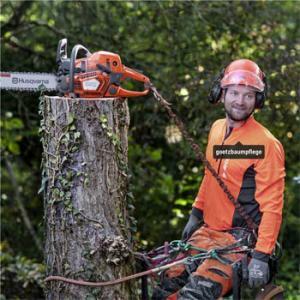 Ergonomics are also hugely important from Husqvarnas point of view. The Mk IIs have been designed to be easy to handle, with smaller gyroscopic forces and as little resistance as possible when moving the saw around during limbing. They might not all be glaringly obvious changes, but the size & angle of the handles, the flywheel placement and clutch designs have all been made with manouvrability in mind. Climbers will also been keen to learn that that the extreme acceleration and high RPM make easy work of advanced removals, while the machine is still nice and light and easy to hook up to a harness and take up a tree. The brand new 550XP Mk II is now in stock and available, CLICK HERE TO SHOP! For more Husqvarna check out the Husqvarna Technical 24 Chainsaw Boots, Technical Extreme Chainsaw Trousers, Technical Helmets, and the new Husqvarna 572XPG 70cc Saw!